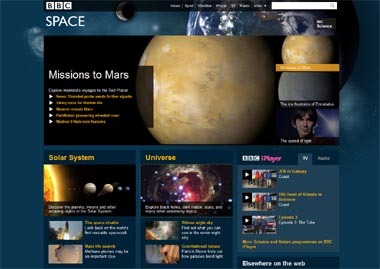 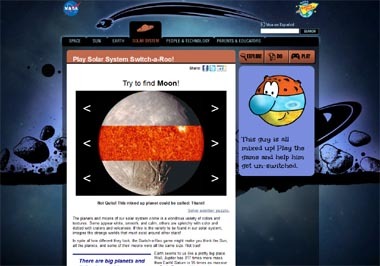 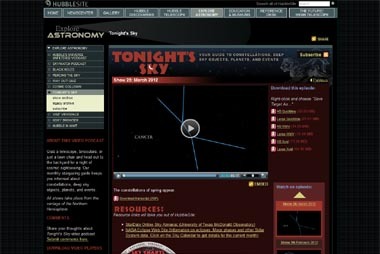 This page endeavours to encourage an interest in astronomy for children. 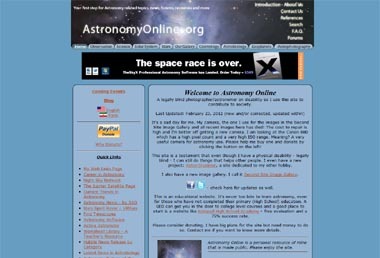 Our youngsters are the astronomers of tomorrow. 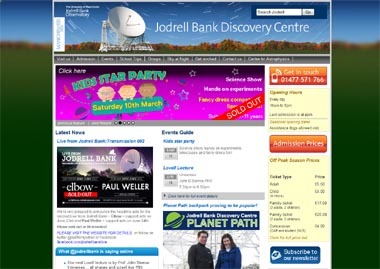 We aim to show that astronomy can be fun and a great learning experience for both adults and children. 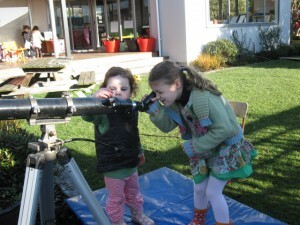 Swindon Stargazers is committed to encouraging the younger generation in the joys and rewards of practical astronomy. 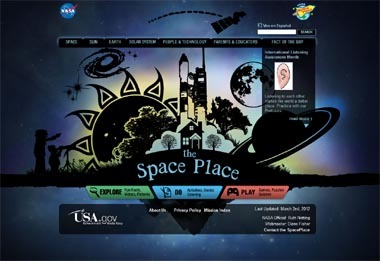 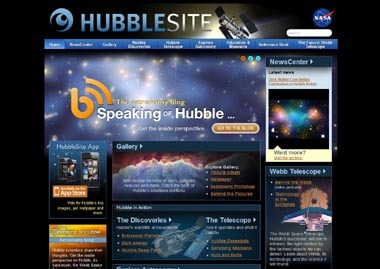 With the help of links to other websites, and special thanks to NASA and JPL this page will hopefully prove a great resource for parents and educators alike. 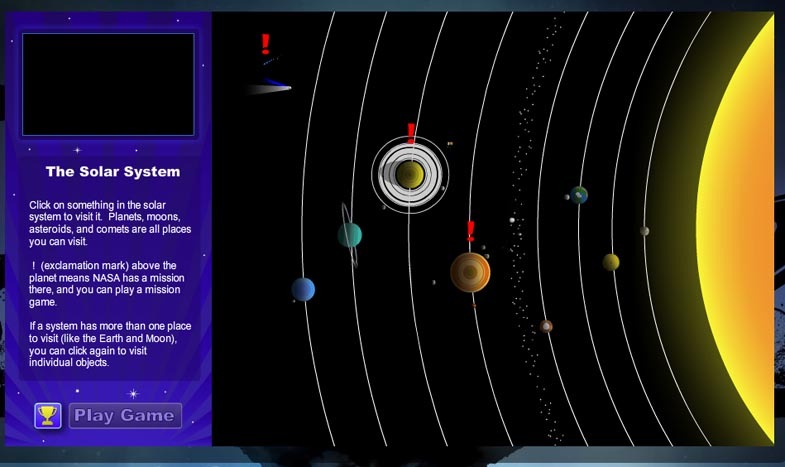 When you get there, the easiest game is the Saturn game - click on the planet in the middle. 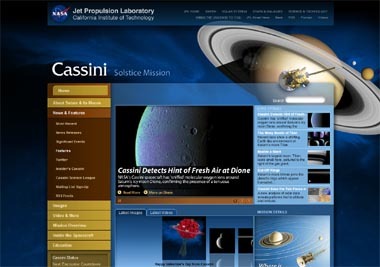 On June 30, 2004, the Cassini spacecraft entered orbit around Saturn to begin the first in-depth, up-close study of the ringed planet and its domain. 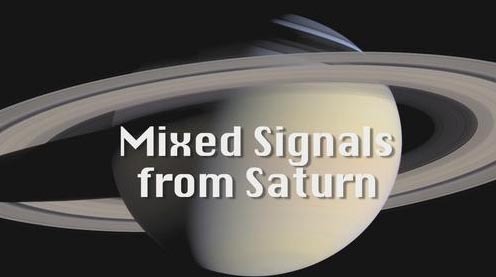 As expected, the Saturn System has provided an incredible wealth of opportunities for exploration and discovery. 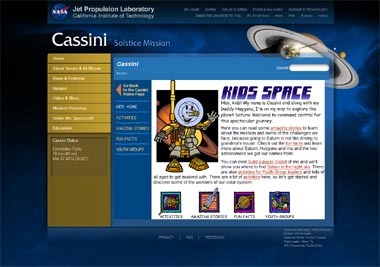 With its initial four-year tour of the Saturn system complete as well as an initial two-year extended mission called the Cassini Equinox Mission, the spacecraft is conducting a second extended mission called the Cassini Solstice Mission. 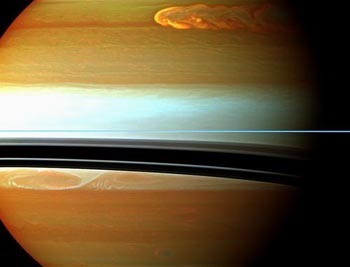 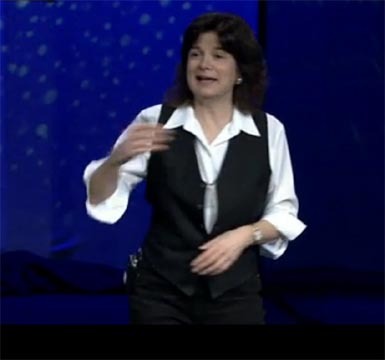 "We're looking at a string of remarkable discoveries -- about Saturn's magnificent rings, its amazing moons, its dynamic magnetosphere and about Titan's surface and atmosphere," says Dr. Linda Spilker, Cassini project scientist. 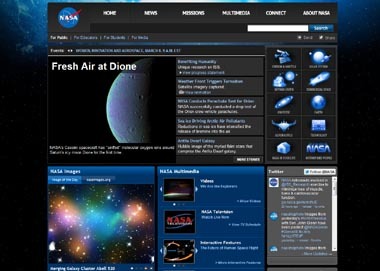 "Some of the mission highlights so far include discovering that Titan has Earth-like processes and that the small moon Enceladus has a hot-spot at its southern pole, jets on the surface that spew out ice crystals and evidence of liquid water beneath its surface." 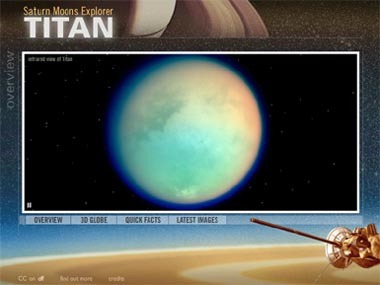 Cassini's observations of Saturn's largest moon, Titan, have given scientists a glimpse of what Earth might have been like before life evolved. 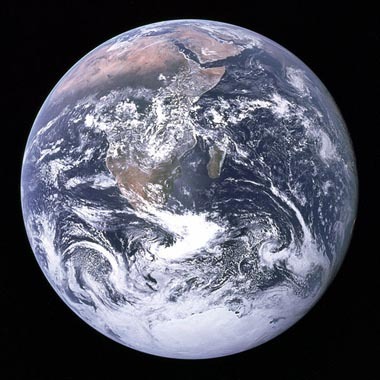 They now believe Titan possesses many parallels to Earth, including lakes, rivers, channels, dunes, rain, snow, clouds, mountains and possibly volcanoes. 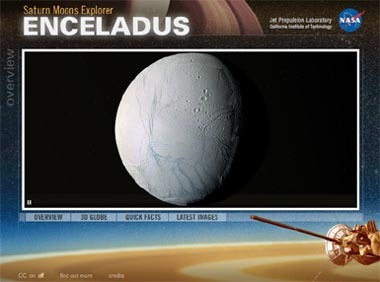 The spray of icy particles from the surface jets collectively forms a towering plume three times taller than the width of Enceladus. 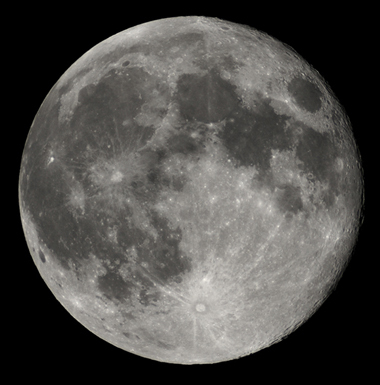 The moons diameter is about 500 kilometers (around 300 miles) It is now thought that the plume feeds particles into Saturn's most expansive ring, the E ring. 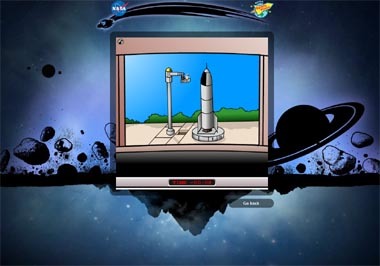 Already in the extended mission, the spacecraft has come as close as 25 kilometers (15 miles) from the moon's surface. 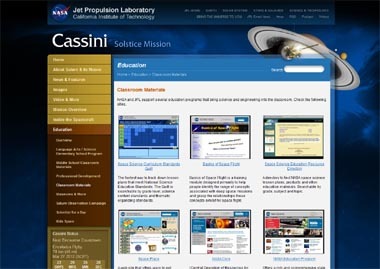 Join Carolyn Porco of JPL on this fascinating journey to the ringed planet, just click on one of the pictures. 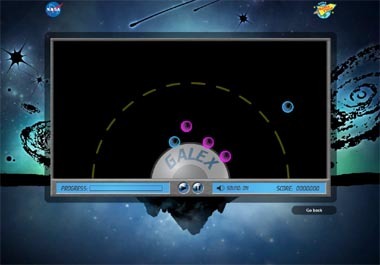 Colouring Book - have fun!